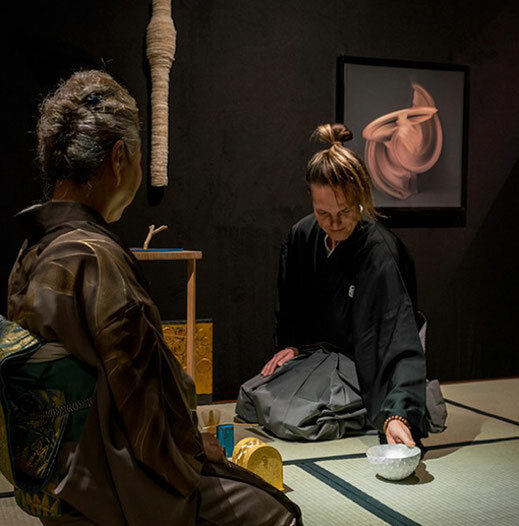 The Ueda Sōko Tradition of chanoyu, or tea ceremony, is a cultural aesthetic practice that originated within the samurai nobility of feudal Japan. The Tradition is commonly called the Ueda Sōko Ryū or Ueda Ryū (Ryū meaning "Tradition" or "School"). The founder from whom the Tradition takes its name was Warring States period warlord Ueda Sōko. 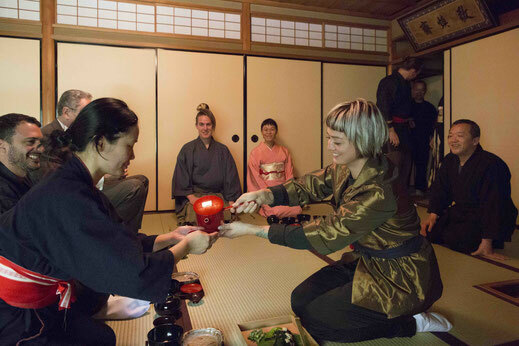 The customs, etiquette and values of the samurai are woven throughout all aspects of the tradition's practice of chanoyu, a practice that has continued unbroken for over 400 years. This website is for Adam Sōmu Wojciński's teaching practice of chanoyu, registered under the name 'Adamu Shachū' (Adam's Troupe) at the home (Iemoto) of the Ueda Sōko School in Hiroshima. 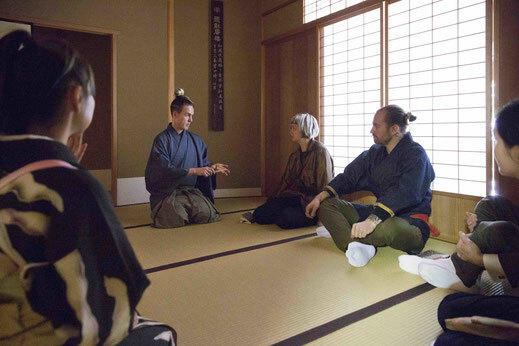 One earns the right to establish a formal teaching practice (shachū) within the Ueda Sōko School after obtaining all formal qualifications from the Grandmaster. Through Adamu Shachū, you can study towards these same qualifications, and as such, the School is transmitted through generations. Adamu Shachū welcomes all people to the study of chanoyu. 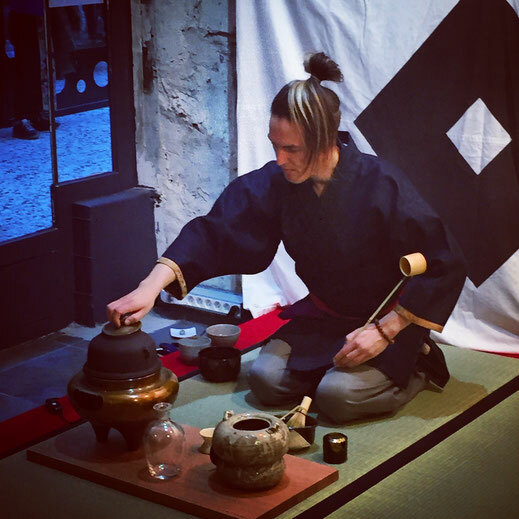 From absolute beginners, to experienced practitioners of a different School of tea, Adam tailors learning programs to each individual. 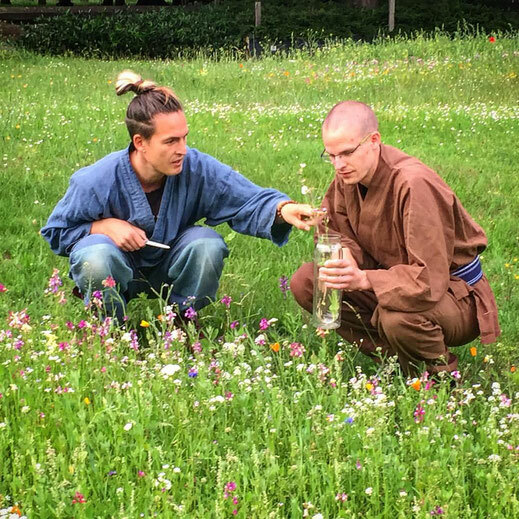 Adamu Shachū is revolutionary within the Ueda Sōko School in the sense it is the first troupe to open to a global practice, online. 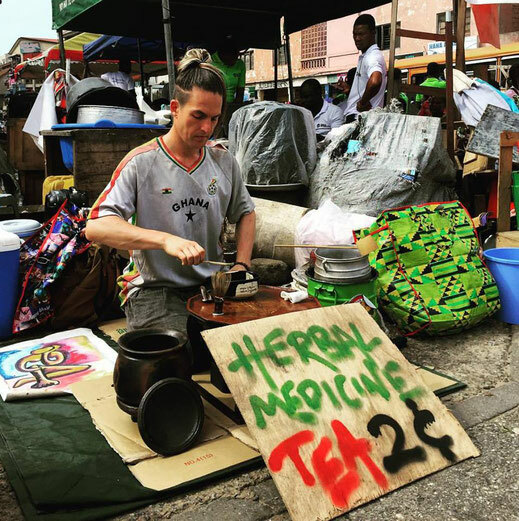 Adam's students are located in countries such as Australia, France, Germany, Czech Republic, Norway, England and the U.S.A.. All students share in a dynamic community of tea practitioners across the world. Adam teaches both online and conducts periods of intensive training in person in Europe, Australia and Japan. Sōkei was born in Hiroshima in 1945. He graduated from the Faculty of Economics of Keio University. Sōkei became the successor of his uncle, 15th Generation Grandmaster Ueda Sōgen and inherited the position of Grandmaster of the Ueda Sōko Tradition of Chanoyu in 1995. He received the Buddhist name of Sōkei from Harada Shōdō Rōshi, Chief Priest of Sōgen-ji temple, Bizen. 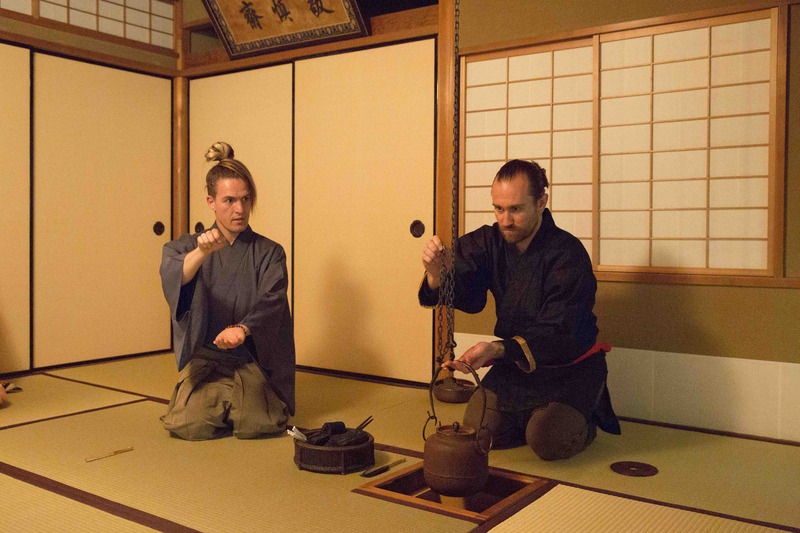 Sōkei has designed and supervised the building of many tea houses in Japan, China and Germany. One of his significant contributions to the history of chanoyu and the Ueda Tradition is his reconstruction of 'Wafūdō', the Ueda Clan tea complex that originally existed on the grounds of Hiroshima Castle before being obliterated in the Atomic Bombing of 1945. 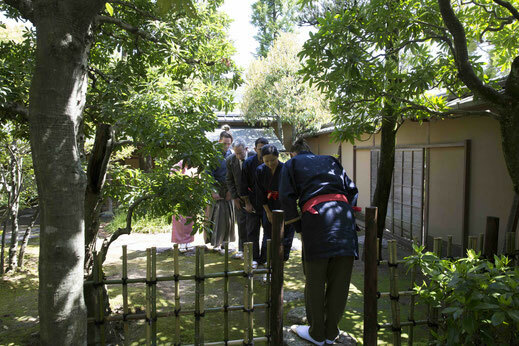 The current home of the Ueda Tradition is a faithful and rare recreation of early Edo Period tea culture, thanks to Sōkei's efforts. 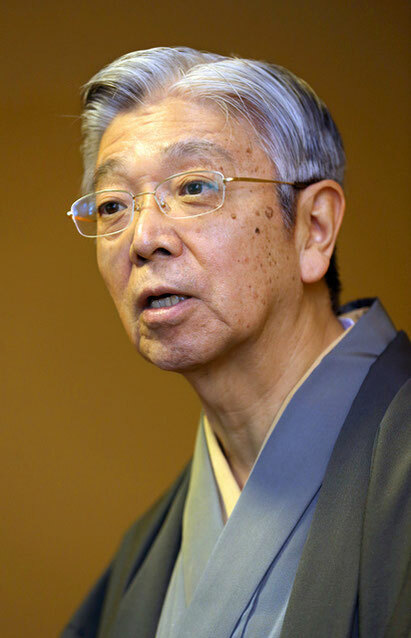 He is the author of ‘The Ueda Sōko Tradition of Chanoyu’ (with Ueda Sōgen, published by Dai-ichi Gakushū-sha), ‘The Tea of Ueda Sōko’ (published by Kōdan-sha) and ‘Go-yudan naki yō’ (Kadokawa Publishing Co.) among other publications.